The first time I visited Las Vegas in 2009 I was left in the desert with my friend against my will. 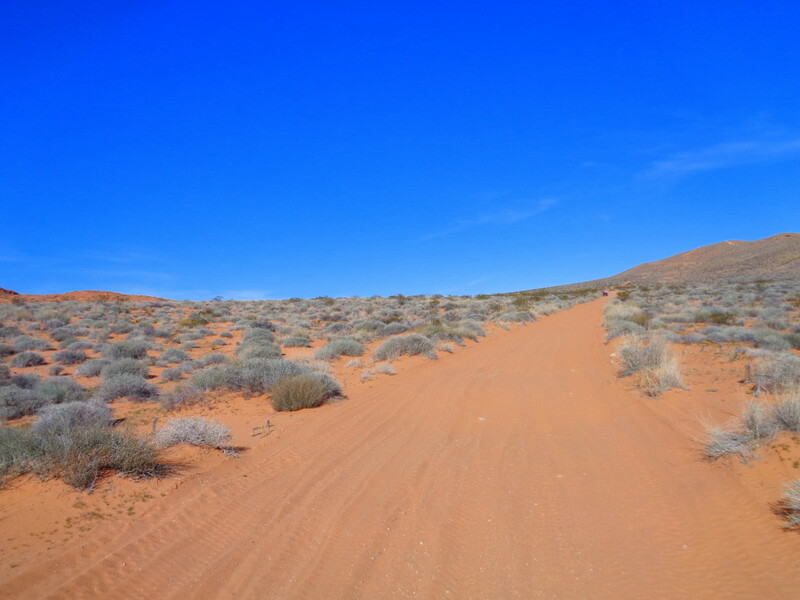 Yes, you read that correctly – I was stuck in the desert near Barstow with my friend and a Russian guy for almost 6 hours until we were rescued by a Mexican bus. However, that’s a story for another time… I decided to go back to the desert, this time of my own free will. Ever since I saw photos on the internet I knew I wanted to make it to the Valley of Fire State Park. 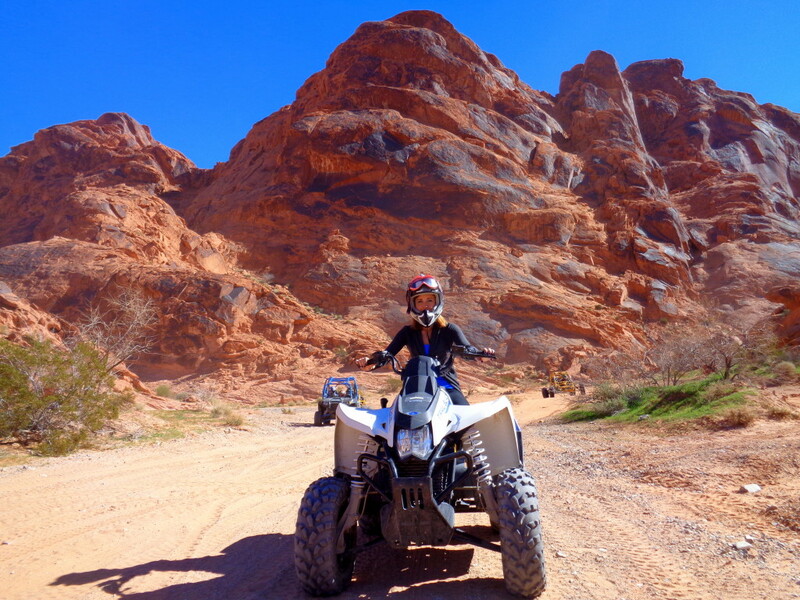 Valley of Fire is an easy day trip from Las Vegas and I found a great way of exploring it: on an ATV. The area was dedicated as a State Park in 1935, making it Nevada’s first. 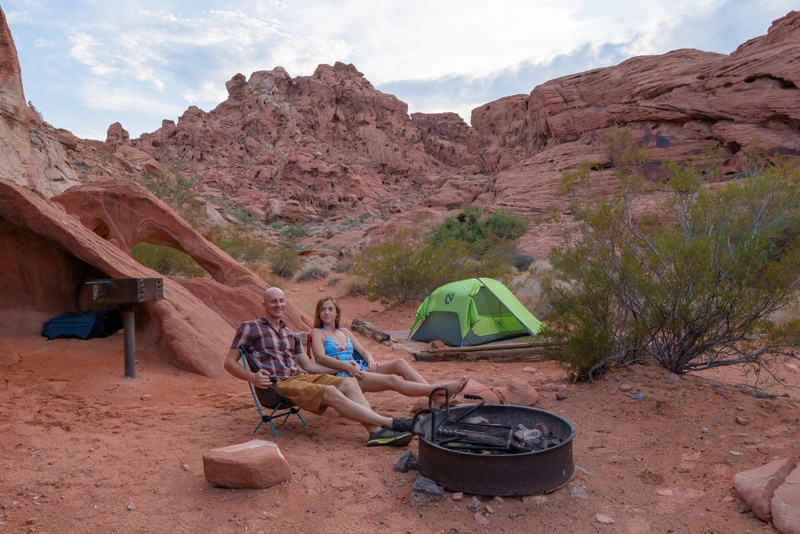 Since then I revisited the Valley of Fire by car and even camped overnight, which I highly recommend. 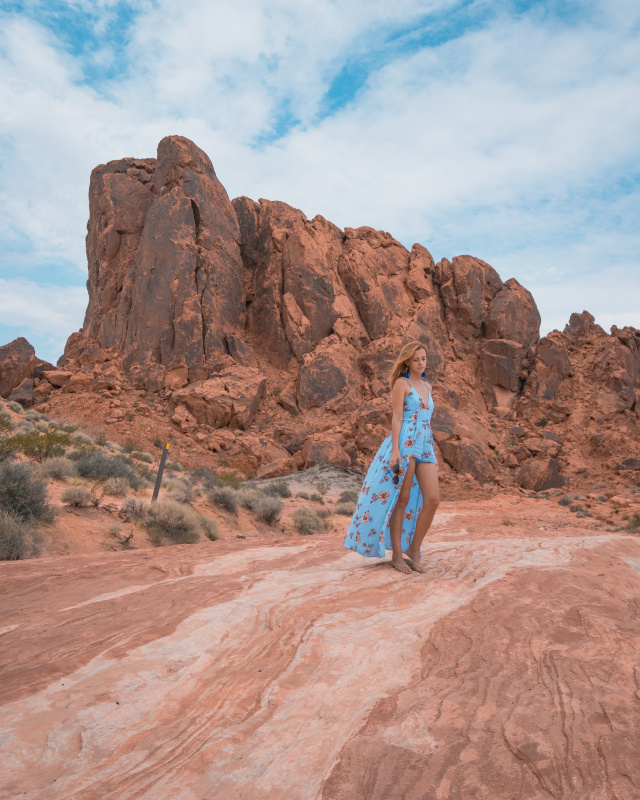 Here are my best tips to make the best of either a day trip to the Valley of Fire or an overnight stay. While in Las Vegas I knew that I wanted to see some of the surrounding areas that many people often forget about. There are tons of possibilities not too far away, such as day tours to Death Valley, the Grand Canyon, the Valley of Fire, and even Zion National Park. 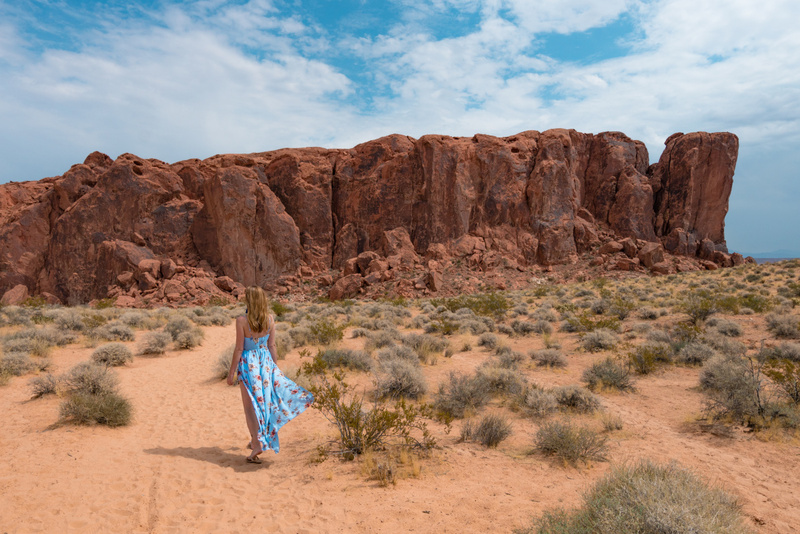 I chose to go to the Valley of Fire instead of the iconic Grand Canyon that I saw from a helicopter as driving to the Grand Canyon takes more time and you don’t actually get to spend that much time on location. I was in love with the surroundings the moment I arrived. The fiery red sandstone glistened in the sun looked so colorful as if they were on fire. 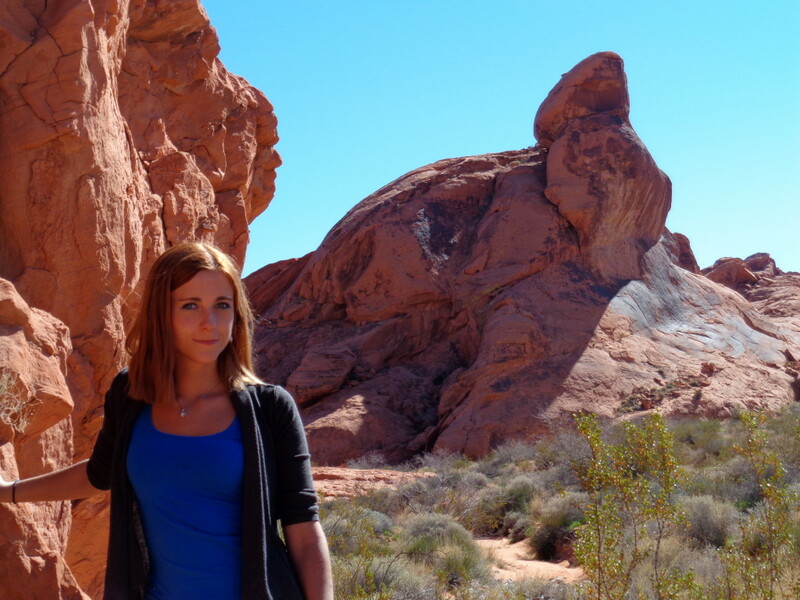 The Valley of Fire isn’t the most popular attraction, receiving approx. 300,000 visitors each year (vs Grand Canyon approx. 6 million). That’s good news for you, as you won’t experience any crowds there despite being just 6 miles from Lake Mead and 55 miles north of Las Vegas Strip. Its red rocks formations happened over 150 million years ago when dinosaurs walked on this planet due to continent moves and erosion. As there were a lot of caves, Indians use to hunt and live there. We can now see drawings from over 3000 years old on some rocks! To enter the park, it costs $10 per vehicle and if you decide to spend the night, there’s an extra charge for camping. There are no restaurants or shops inside the park, so bring everything you need! Short and flat trail of 1 mile that takes you from the sandy landscape to color-streaked rocks. 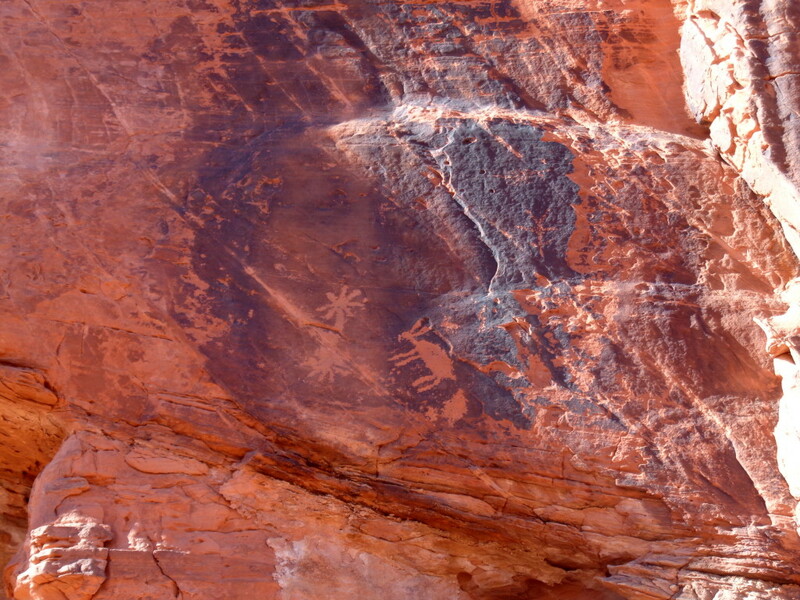 Climb the staircase at Atlatl Rock to see the best display of petroglyphs in the Valley of Fire. While it’s a popular spot I was quite disappointed by the amount of graffiti around. We did camp right next to it at a designated campsite which was a wonderful experience. Funnily shaped rock next to the entrance. While I didn’t particularly see the elephant-shaped anything there, I did spot a turtle on a rock from a photo below. Probably the most photographed spot in the entire Valley of Fire. It’s a fun hike with incredible views – probably my favorite one! Next to the Fire Wave, there’s this 1.25-mile slightly challenging loop hike. You do have to climb back up to the parking lot at the end, so it’s not all flat. Another easy route that takes you off the road to a colorful canyon. I highly recommend this route with children as it’s easy to reach and flat, plus it ends at a basin with water. While I haven’t seen a mouse there, I did spot a fluffy creature nearby! I was picked up early in the morning from my hotel and after picking up a small group of guests (we were 7 total), and we drove to the base to pick up the equipment for our tour. We all got a helmet and goggles as it can get dusty in the desert and then we were ready to continue to the Valley of Fire. The company that organized the tour – SunBuggy, offered a few options for vehicles: an ATV, a buggy car, and a bigger 4-seater vehicle. I got an ATV. After my guide taught me everything about my ATV, I was ready to go. What was cool about this tour was that we weren’t just driving one after the other the entire time. We were free to do what we wished. We could stop whenever we wanted to take some photos, rest, or whatever else. There was no rush and our guides were making sure everyone was fine and going at their own pace. At the end of the tour we were taken to a small American diner called Tiffany’s Pies and Subs for a real lunch. We could order anything we wanted to start from sandwiches, wraps, salads, shaved ice, and chips. The place was delicious, so if you’re ever in Logandale it’s definitely worth a try. During my tour I got to do some climbing so I jumped at the opportunity pretty much instantly. Even though I only explored a few rocks in the Valley of Fire, I think it’s a pretty good place for a climbing amateur. 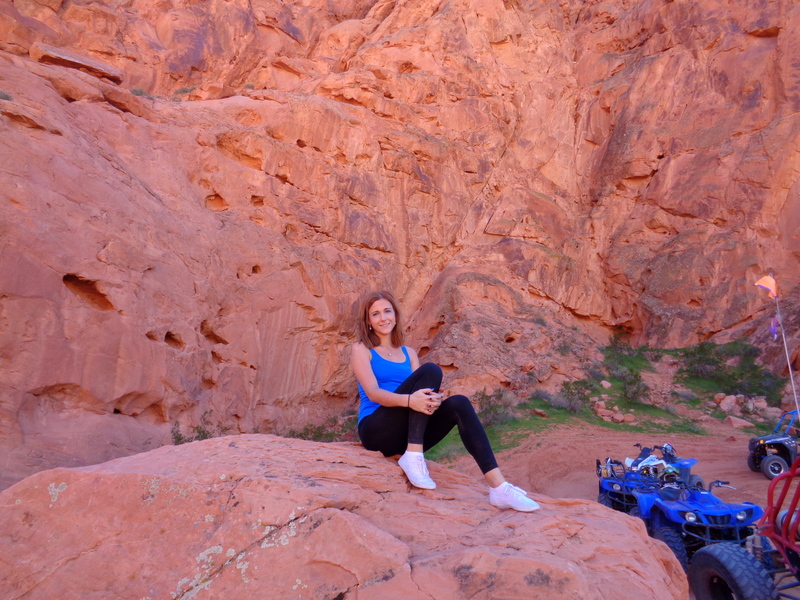 Valley of Fire has so many picturesque spots! Considering my inexperience and fear of driving an ATV, it was inevitable that I would encounter a few problems on the road. When I was trying to ride up quite a big hill, my ATV refused to cooperate and started sliding down. I got scared and screamed but I got helped in less than a minute! Never have I experienced such quick and effective crisis help. That’s why at the end of the tour I was even jumping on the dunes on my ATV! And if you’re reading this, it means that I survived my tour. I would recommend it to anyone in a heartbeat. 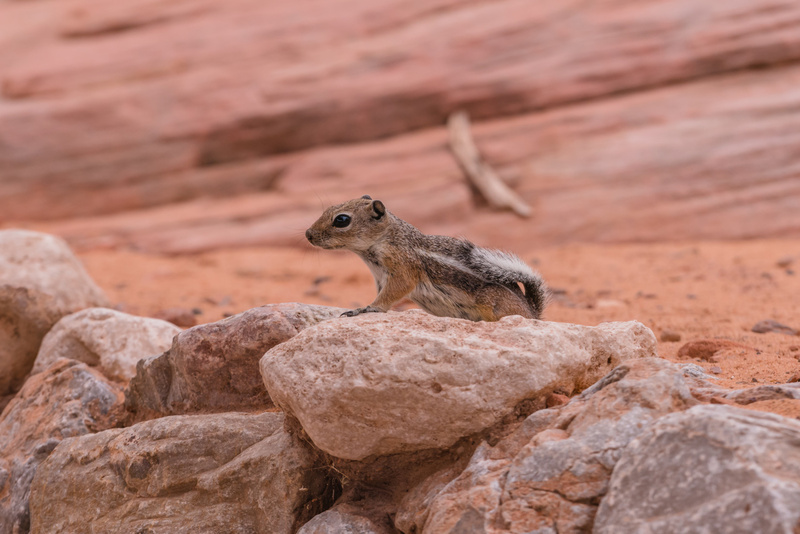 Do you have any questions about the Valley of Fire? Share your thoughts!